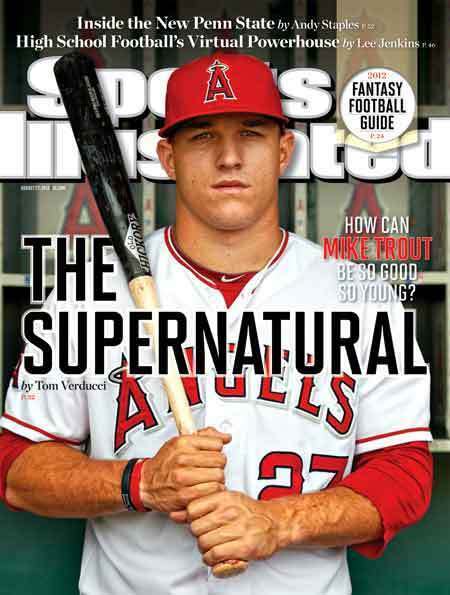 It’s Mike Trout‘s world, we just live in it. Charlie Blackmon has the highest BA (Trout is next); Jackie Bradley Jr. has the lowest. Mike Trout hit the most HR; Austin Jackson hit the fewest. Mike Trout has the highest OPS; Billy Hamilton, the lowest. Mike Trout hit the most XBH; Cameron Maybin the fewest. Mike Trout has the most RBI; Leonys Martin the fewest. Mike Trout has scored the most runs; Austin Jackson the fewest. Mike Trout has the most walks; Marcell Ozuna and Kevin Pillar the fewest. Mike Trout has the most strikeouts; Denard Span the fewest.